Summers are here and plans for summer holiday vacations are in the air. Have you thought about what gadgets you would be investing in this year to make your adventures hassle-free? If not, it’s not too late to give it a thought! Nowadays, it is impossible to think of survival without a bundle of gadgets. Electronics are life-savers and almost every one of us is obsessed with them. When we think of portable gadgets, we want to have it all or at least the best ones that can ease our life. When following a schedule, we wish to have something that saves us from putting extra time and effort into daily house chores or at least pace up the speed of the work. As we are always on the move, it is hard to get your daily tasks done on time. But with portable gadgets, it is an absolute possibility. When on a vacation or otherwise, we all wish to capture the panoramic view of the surroundings. Be it a foreign land or an unusual place inside your city, you would like to capture a 360-degree photo to upload on your Instagram. For the photographer in your house, this digital camera will add a creative touch to his art. The 360-degree videos can make you look like the star of the town. 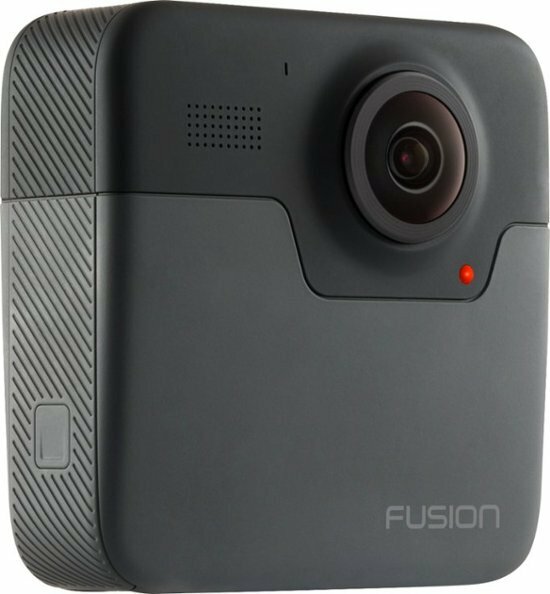 GoPro Fusion has got an exclusive spherical lens that records an all-encompassing view of your adventures. It comes with a complementary app that makes it possible for you to edit the videos on a professional level. Plus, GoPro Fusion is water-proof so that you can continue to enjoy your favorite water activities. Obesity is a burning issue around the world. Having millions of options of flavorsome unhealthy street foods, it gets impossible to achieve the model body that everyone aspires to achieve. Why? Because it is hard to stay motivated. What if I tell you that there is a portable gadget that is stickier than a cell phone and keeps you inspired? It is hard to believe that! But, it is the truth. 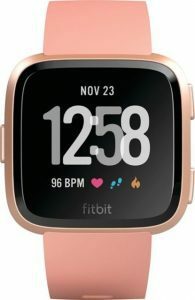 Fitbit Versa is an amazing gadget that keeps you on track of your fitness goals. Share your fitness goals, set the schedules, and reminders to familiarize your watch with your health goals. This fitness watch measures your steps, tracks your sleep patterns, tells you about the burnt calories, and aids you to follow the on-screen workouts by playing music at the back. While traveling, we often overlook our fitness goals and end up consuming a lot. So, this fantastic gadget will help you burn the extra calories on the spot by providing 15+ exercise modes. It tracks your activities like swimming, running, walking, and jogging to tell you how many calories you have burnt at the end of an exercise session. The count, in turn, is uplifting for a novice who feels exhausted after every workout and feels frustrated within a few days when he cannot find any changes in his weight or body size. As watches never go out of trend, so investing in this stylishly fashioned watch would be the best idea of the year! Projectors add life and entertainment to your picnics. Watching a movie on a huge screen is far better than focusing on small mobile screens. Plus, a pocket projector is a perfect gadget for businessmen who need to give presentations every now and then. They can display their ideas anywhere they want and without having to make huge arrangements. IPower Pro iPhones is powered by iPhone 4 or iPhone 4S. It is a portable, pocket-sized gadget. You can stream videos, play slideshows, and display presentations during your travel tours. When we are traveling around the globe, it is common that we find people having similar interests and business ideas as we have. To show them your best work instantly is possible when you have this pocket projector with you. 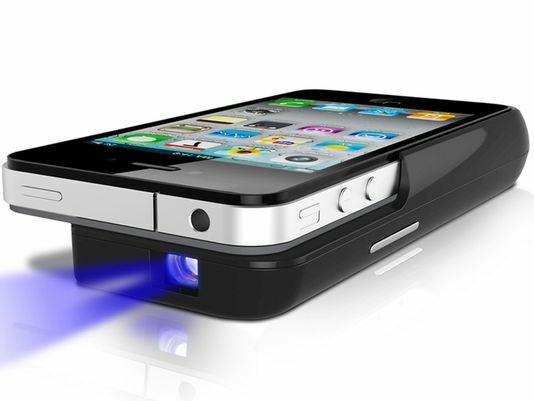 Another hidden secret about this little projector is that it keeps your phone charged. Just place your phone in the charging case to prevent the battery from running low in the middle of your presentation. If you are planning to watch horror movies amidst a jungle (your camping spot), then why not take these wireless soundbars with you that produce extra powerful sound. The extraordinary sound quality will allow you to get engrossed into the action of the movie. The wireless subwoofer adds bass to the sound quality. Even if you don’t want to carry it along, the elegant design will definitely enhance the grace of your living room. 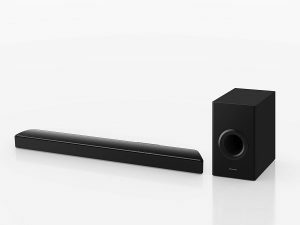 They are among the most cost-effective sound bars; you can check the link for details. Running low on battery right in the middle of an emergency call is annoying. Having a portable charger is an absolute necessity of the century. PocketJuice (power bank) Charger is exceptionally amazing as it can offer up to 11 full phone battery charges. It comes pre-charged, so can purchase it while on the move and start charging your phone. Its compact size makes it easier for you to carry it inside your pocket as well. Continue to use GPS, hire Uber, find top-rated restaurants, and take photos when you have the power bank with you. 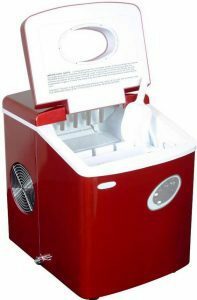 Summers are around the corner and we would love to carry an ice maker everywhere. During burning hot summer days, all we need is chilled juices and beverages. It is disappointing to know that the juice maker has run short of ice. So, why not have an ice maker of your own? No, not the bulky one that needs electricity to work. Instead, a portable one that can make around 28 pounds of ice cubes for you within 6 to 15 minutes of times. You wouldn’t have to rush in the middle of a party to search for ice cubes when you have it in your car. These 6 portable tech gadgets are interesting, trendy, and really good for one to wanna use them on the daily. I think they’re the most fascinating tech gadgets of this new age. Got other trendy tech gadgets you’d like us to know about? Share them with us below. Credit: This post is credited to Andrea Taylor of https://productspy.co.uk.